The band program at St. Peter is open to students in 4th through 8th grade. St. Peter has 3 levels of bands, group lessons, solo contest preparation as well as curriculum development for a two day per week program. Our band instructor is Maxine Lange. 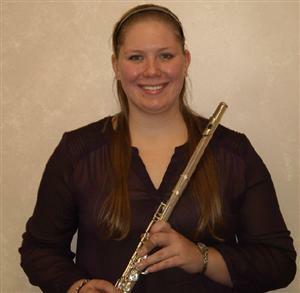 Maxine Lange has recently graduated from North Central College with a BA in Music Education with an Instrumental emphasis. She has been playing for 13 years, and has studied with well known private instructors in the Illinois and Indiana area including Cindy Fudala, Allie Deaver-Petchnik, and Marie Bennett. While at North Central, Maxine performed with a flute choir, a woodwind quintet, and was also a member of the marching band on campus.